For Closing Paper, Cotton, Polyester, Plastic, Vinyl, Canvas, Jute, Burlap, Coffee, and Synthetic Fabric and Material Bags and Production Lines. Also for Banners, Tarps, Covers, Prefolded Hems. The economical, high-speed American-Newlong NP-7A Portable Bag Closer with steel cam provides a long, minimum maintenance service life. 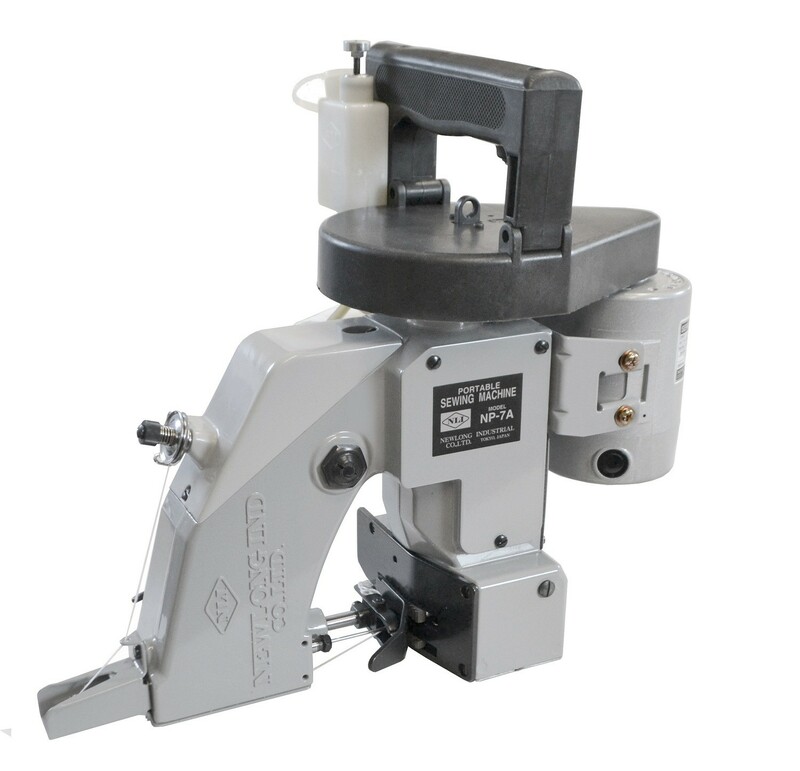 Engineered for continuous operation, the single thread chain stitch filled bag closing machine has a top speed of 1,600 rpm. The portable bag closer is equipped with a safety plastic handle for insulation and features an oil pump lubrication system and automatic thread cutting. Oil lines direct lubricant to main moving elements. High speed hand held bag closer offers 1,700-1,900 r.p.m. for filled bag closing. Features a specially designed shock resistant isolation handle. This portable bag closer also offers an automatic oiling system that applies lubrication to moving components and an optional overhead suspended spring balance support.